I know you're special. Now give me my fries. 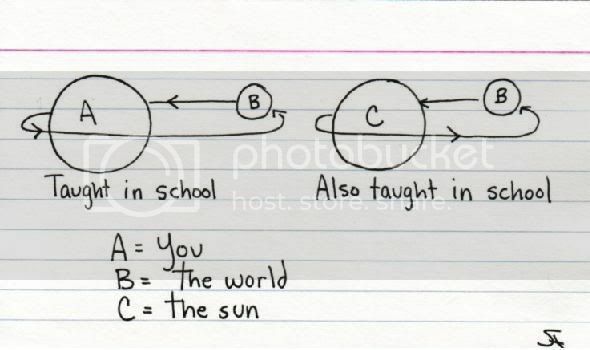 Artist Jessica Hagy explains the philosophy of life with math diagrams. 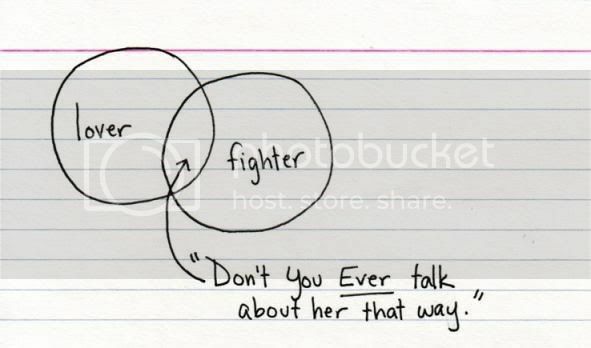 Jessica Hagy is an artist, she explains the various life situations with a simple math or Venn diagrams. If you just see the drawings you will understand what she means by it. She philosophizes life with simply a math diagram. She explains her work as follows: This site is a little project that lets me make fun of some things and sense of others. 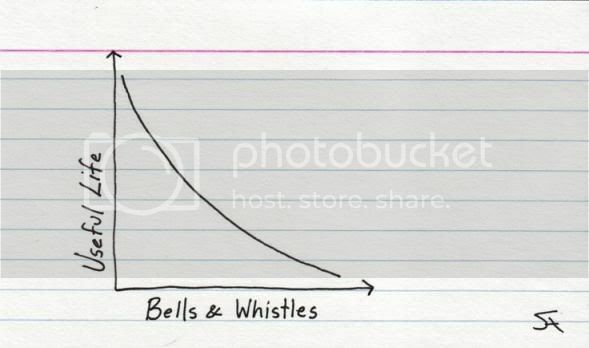 I use it to think a little more relationally without resorting to doing actual math. This one blog article describes how one is taught in school about Earth revolves around the Sun and also at the same how the Earth revolves around them as well. Which is true. Here is another one about Cellphones and how they advertise about their great service at the beginning and there is almost none at the end of the service. If you want a great service, you have to renew the contract for two more years. A real lover will protect his gal like that, don't mess with her. You can check out her blogs, her blogs are very insightful.